So as you all are aware of, we are crazy about our dogs. I mean come on, they are a part of our families! 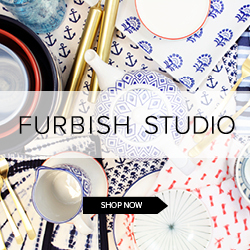 We are loving the incorporation of our furry friends into home decor. 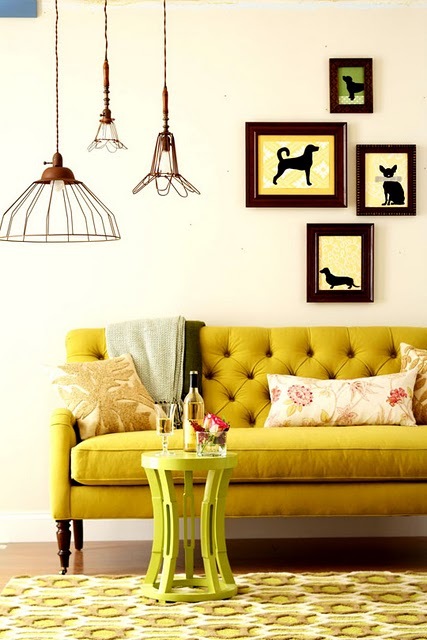 Whether it be from wall decor, knick knacks or statues, we are dying over it all! 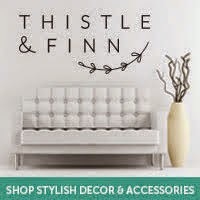 Our doggies are quite the interior designers and they are ready to have some input in stylizing some rooms. 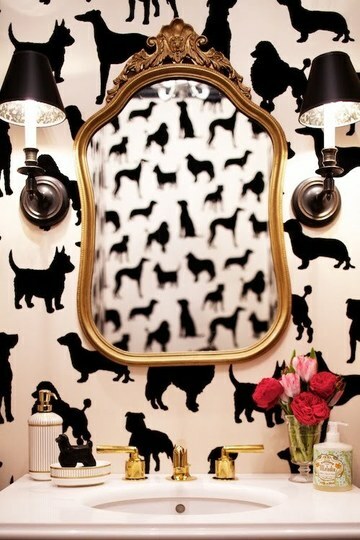 Dog silhouette wall paper. Love it or leave it? We absolutely adore it. Especially in a small space like a powder room. How divine does it look with the intricate and vintage gold mirror? Pretty divine. That is how divine. 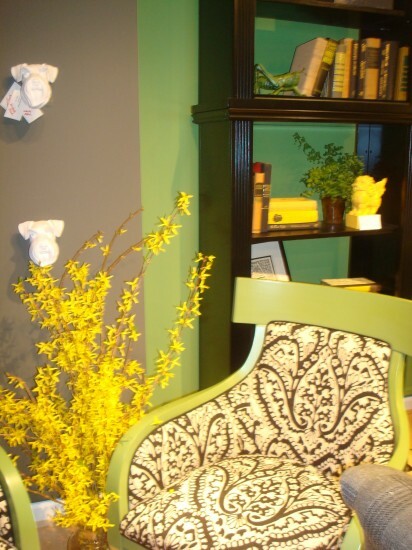 The contrast of the bright flowers with the black and white room just really adds the right amount of punch. So once upon a time, there was a statue in an antique store in Winston Salem, NC that was shaped just like this one. It happens to resemble Stella completely. I absolutely loved the statue but decided to wait to get it. Then one day, I realized I couldn't stand to live without it and I needed it in my life. I returned to the store to find out they had sold it hours before to another gentleman. This picture definitely rubs a little salt in the wound. But hey, its good to see that there are others out there. Such a cute addition to an already darling bookshelf. Jeal. Ous. How stately is this oil painting of this dog? Love the dog. Love the frame. Love the thoughtful placement. We are thinking this would be adorable of our girls! 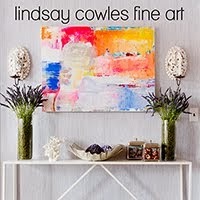 Ever since I saw this picture from a visit to the High Point Market, I have been drooling over those mini schnauz heads. Seriously drooling. 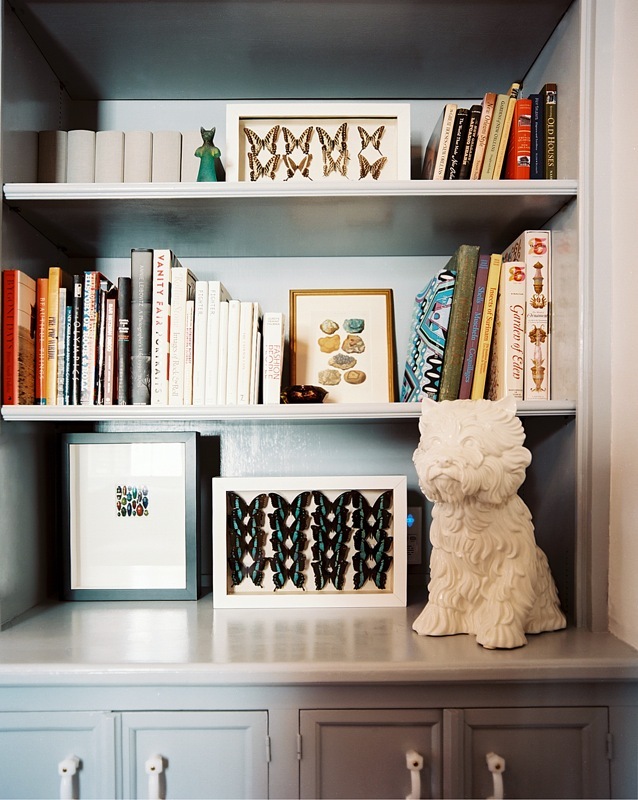 While I cannot seem to find these exact schnauz wall busts, I found something similar which you can see here. If anyone knows where to find the schnauzies shown, please let me know. Consider this as a flyer you would see for a lost animal. That's how bad I need these. MISSING: Mini Schnauz heads. DIY doggie silhouettes. Adorbs. What a cute whimsical feel added to this cool vintage and industrial room. Follow the link for the amazingly easy and awesome tutorial. You and your pups will not be disappointed. Gotta love it! 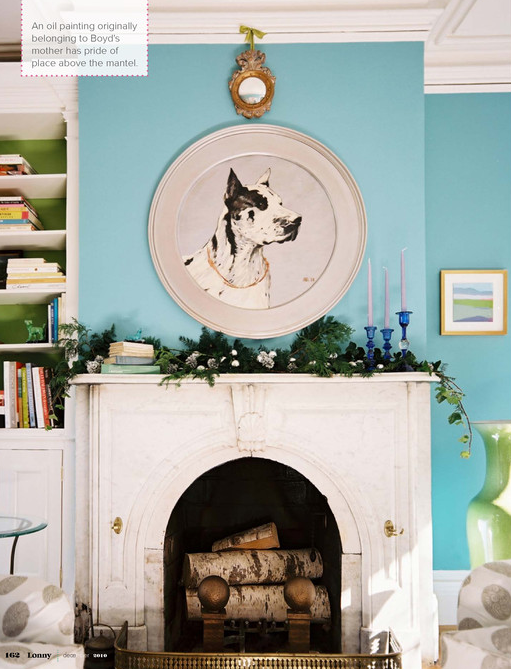 Such great looks above..I love anything with a dog, dog paintings, wallpaper, pillows with dogs...whats not to love, they are mans best friend! yes! I love that wallpaper!